The UAH Library contains many books & ebooks about Philosophy. You can use this field to search the UAH Primo Pathfinder discovery system. You can also view the ebooks subject guide here for more information about ebooks in the library collection. The following lists only a few of the books & ebooks in the UAH Library. You can click on each title to go to the record for that book (to view the ebook, or to see if the print book is available in the Library). 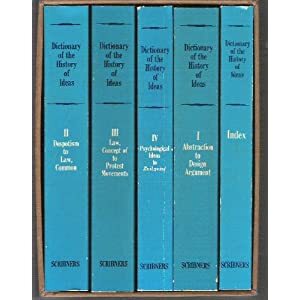 Organized alphabetically, and focused primarily on the years 1720-1780, this fine guide contains terse, clear, and solid entries on the major and minor personalities, institutions, ideas, topics, etc., that constitute the Enlightenment. Most of the numerous topical articles, written by experts from many countries and disciplines, range from a few sentences to a few hundred words, but major essays run to four or five pages and include brief bibliographies. A survey of ideas and thinkers written by an international team of 436 contributors. 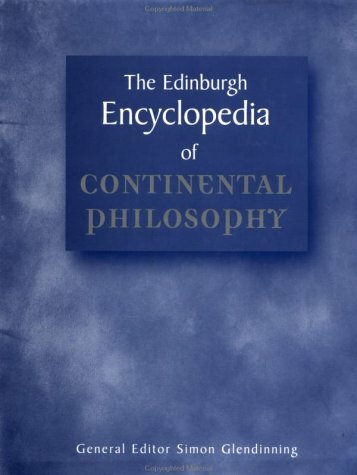 Includes the most comprehensive entries on major philosophers, extensive coverage of rapidly developing fields such as the philosophy of mind and applied ethics, more entries on non-Western philosophy than any comparable volume, and strong coverage of Continental philosophy. This collection of three- to seven-page articles treats topics, persons and style and theories important to aesthetics. Written by an international assembly of leading philosophers, this volume offers students, teachers and general readers a rich and sophisticated introduction to the major non-Western philosophical traditions - particularly Chinese, Indian, Buddhist and Islamic philosophies. 244 listed studies include cross-cultural comparison within a period, historical tracing of ideas, and explications of the meaning of the selected pivotal ideas. Includes a 479-page index. Covers all of the major subfields of the discipline, with entries drawn from West African, Arabic, Chinese, Indian, Japanese, Jewish, Korean, Latin American, Maori, and Native American philosophy. Covers the most important authors and movements of this tradition. Fifty-eight extensive chapters and an internationally recognized team handle a broad range of topics and personalities. Organized into chronological and thematic areas for ease of reference. The only encyclopedia in English specific to the field of Classical Philosophy, this work presents 270 articles on major and minor figures and on topics of importance to the philosophy of Greek and Roman antiquity. The articles, written by leading scholars, present not only succinct historical accounts, but they inform readers about issues of interpretation and debate in the contemporary scholarly study of the Classical period. Some 435 signed, cross-referenced articles ranging from 500 to 9000 words in length. Topics include meta-ethics, ethical theory, perennial moral problems, and political, social, and legal theory. 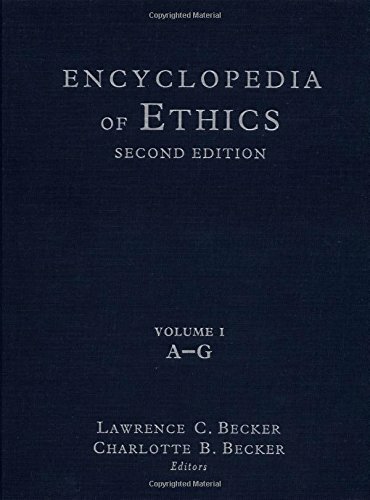 There are survey articles on trends and eras; summaries of leading concepts, principles, and theoretical problems; and biographical entries for philosophers whose place in the history of ethics is secure, as well as a few contemporaries whose seniority and eminence make their inclusion appropriate. Articles on 116 thinkers are arranged chronologically, making it essay for readers to follow and appreciate the development of ideas from the early Greeks through the first half of the twentieth century. Each article provides basic biographical information, a list of the thinker's major works, a summary of his or her principal ideas, an essay explaining the thinker's most significant theories and indicating his or her place in the history of thought and a brief bibliography of further readings. A fully-searchable, complete text of the MIT Encyclopedia of the Cognitive Sciences (MITECS) on a dual-platform CD-ROM. At the core of the encyclopedia are 471 concise entries, from Acquisition and Adaptationism to Wundt and X-bar Theory. Each article, written by a leading researcher in the field, provides an accessible introduction to an important concept in the cognitive sciences, as well as references or further readings. over 2,200 entries explaining everything from akrasia to externalism, modality and pragmatism, with longer articles on such puzzlers as the problems of the philosophy of science. Articles are signed and include references, as well as a comprehensive index, portraits of the great minds and a guide to logical symbols. Some 3000 entries - many extensively cross-referenced - cover Eastern and Western philosophy (with emphasis on the latter), all the main subdivisions of philosophy, terminology from other disciplines that is significant in philosophical discussion, and major historical figures.